Aside from polar bears and a few species of reptiles, very few creatures enjoy feeling cold. So if there is a warmer place nearby, bugs, rodents, and other critters will do their very best to gain entry to it! What this means for you in winter is that you may end up unknowingly sharing your indoor space with a variety of uninvited guests, to the detriment of your respiratory and overall health. You may not realize that you are coughing and sneezing more because you have hidden lodgers releasing dander and debris in your home. But with these tips, you can send the squatters packing and reclaim your indoor air quality! Some pests are always lingering around looking for a way in. These can include silverfish, roaches, some species of ants, and, of course, bedbugs. These species love the heat, and the warmer it gets, the happier they are. Other pests may be quite comfortable outside in the warmer months and break into your garage, workshop, attic, basement, or home only when temperatures drop. Mice, rats, birds, squirrels, raccoons, and some insects will be keen to come inside for both warmth and secondary reasons, such as the chance of finding food. Here, the general rule of thumb is that if you’ve seen critters or insects anywhere outside or around your property in the warmer times, you can expect these same pests may try to come inside your house and buildings in the colder months. Around your garbage bins. If lids are loose or contents get scattered, you can be sure you’ve had foragers scavenging the contents. In your eaves, exhaust vents, and drain spouts. Birds and rodents will often build nests of twigs, leaves, and other debris in these areas. Not only can this introduce dander and bacteria into your home air, but it can also cause a fire hazard if these nests block airflow. Around baseboards or in corners in attics, garages, and basements. No one likes to find rodent droppings or shredded nest materials in the attic or ant trails in the basement. But these pests aren’t there arbitrarily. They are after food, water, or shelter, or all three. While there is no one-size-fits-all strategy to keep the critters out, there are some strategies to make your home less attractive to these interlopers. Simply having a bin with a secure, tight-fitting lid is half the battle in sending pests packing. Keeping the outside of the bin and lid clean and free from food or other debris helps even more. Adding linings of discarded paper, or even dry leaves or cardboard, can keep discarded organic matter as dry as possible until collection day. It can also be a good idea to stop composting outdoors until warm weather returns. Finally, be sure to keep your bins in a cold area. If they are stored in a warm area, this provides even more incentive for rodents and other pests to try to knock them over and enjoy the contents! Getting near a warm area is better than nothing at all, and many birds, rodents, and bugs will happily take shelter near vents or in eaves, just waiting for the right moment to slip inside your house. But if you make it a point to check vulnerable areas in and around your home and nearby structures regularly, you can nip these issues in the bud before they require a call to pest control or rodent removal services. Sometimes by the time you discover you have unwanted winter lodgers, they are already inside and making themselves quite at home. 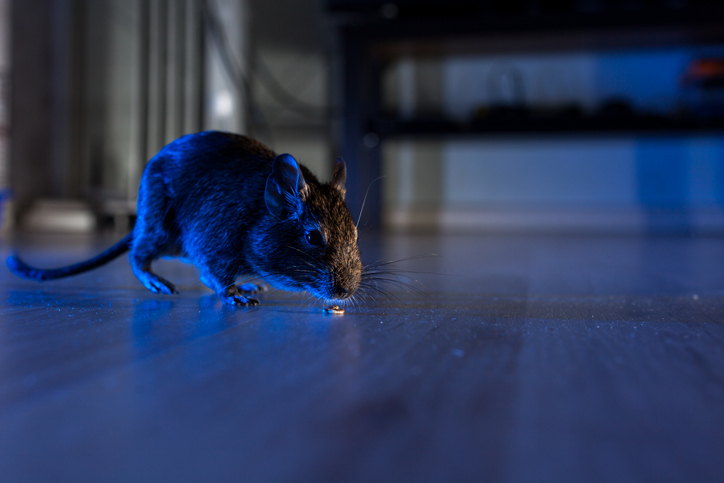 One of the favorite places for smaller pests and little rodents is inside your air ducts. If they can get in through a vent or enter through a poorly sealed duct, they will happily make nests and even raise young inside your air ducts! Yuck, right? Unfortunately, this can mean that bug carcasses, pellets, fur, and other unpleasant matter stays behind in your air ducts. As the ducts fill up with dust, debris, and matter of this kind over the years, it eventually gets blown back into your indoor air supply. This is when it can start to impact your family’s respiratory health. Bugs and rodents often carry disease with them in the form of fungal or bacterial matter. As well, the dander and detritus can be an allergen for many people. For reasons related to humidity levels, winter is the most difficult time for your immune system to fight back against these types of “inside job” allergens. Right now, save $50 on any indoor air duct cleaning package as part of our Happy New Year 2018 celebration! Today’s filtration and purification systems are more than a match for any pollutants, debris, or germs winter lodgers bring into your home. Best of all, right now you can save 20 percent on the whole home air filtration or purification system of your choice by participating in our Breathe Clean Air event! Air filtration uses HEPA (high efficiency particulate air) technology to remove particulate matter as small as one one-hundredth of a human hair out of your air supply. Air purification uses ultraviolet light to detect and neutralize the tiniest toxins before they can pass into your indoor air supply. Here at Clean Air Solutions Hamilton, we spend our days helping our wonderful clients stay healthy by breathing clean, pure indoor air! Give us a call at 905-544-2470 to learn more!